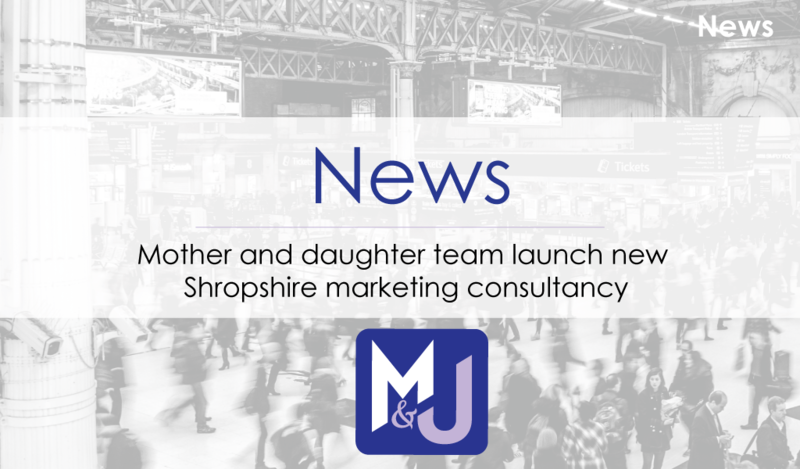 A Shropshire mother and daughter team have joined forces to launch a new marketing consultancy aimed at small local businesses. Martin & Jones Marketing, based in Oswestry, is headed by marketing specialist Ruth Martin and her mother media expert Janet Jones. The family duo brings together over 40 years of experience across marketing, public relations, media and training. The new business is offering help to small local businesses who may not have the resources to support a full marketing department and need to make the most of their marketing budget. The new company is able to provide practical advice and training in a full range of marketing techniques. The two women have deep roots within the county, having lived and worked within the north Shropshire area for many years. This gives them a remarkable insight into customers and businesses across the region. “We realised that many local business owners do not have enough time or large budgets to invest in marketing or promotion. Marketing is such a broad subject, it can be difficult for a small company to see where best to invest for the biggest impact. We hope to use our experience to point people in the right direction and pass on the skills needed to make their businesses grow,” explained Ruth. Her mother, Janet Jones, started her career as a newspaper journalist before becoming a public relations professional and later a university lecturer in media communications. During this time, she delivered training in a variety of ways to both students and national companies on many aspects of media and public relations. “I’ve worked in the media for all of my professional career, so I’m really looking forward to putting that experience into our new business. The fact that it is with my daughter makes it even better,” she said. Martin & Jones Marketing is a Shropshire-based marketing consultancy offering a high quality and flexible service for all business needs. Their aim is to have a positive impact on Shropshire businesses and the local community. Copyright © 2018 Martin & Jones Marketing. Website Support By Kevin Purchase.